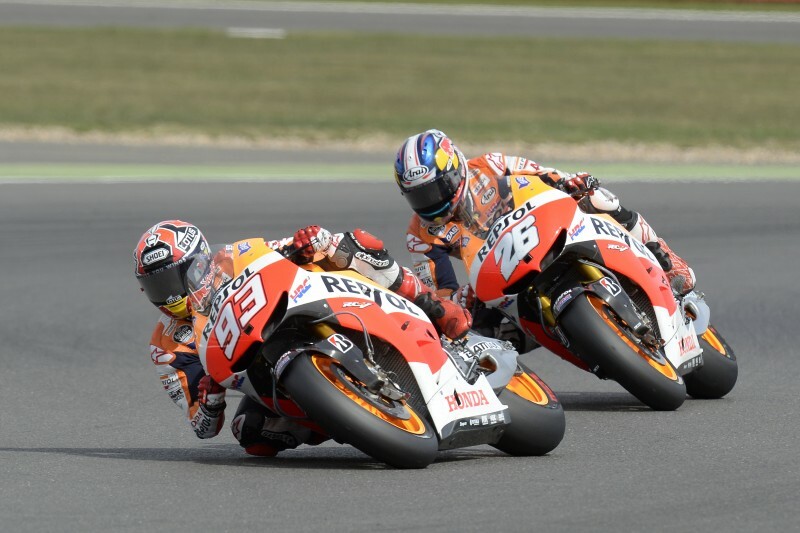 Today marked the 200th race in the MotoGP class, since it was introduced in 2002, and Repsol Honda riders Marc Marquez and Dani Pedrosa have taken another double podium finish with 2nd and 3rd places. It was a difficult start to the day when in warm up Championship leader Marc Marquez had a nasty fall and dislocated his left shoulder. 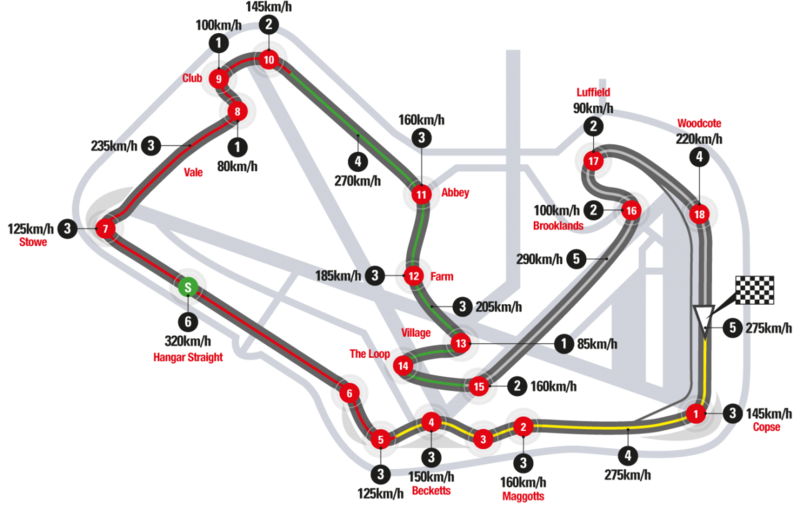 Fortunately, the young rookie was able to receive medical treatment and was declared fit to race. 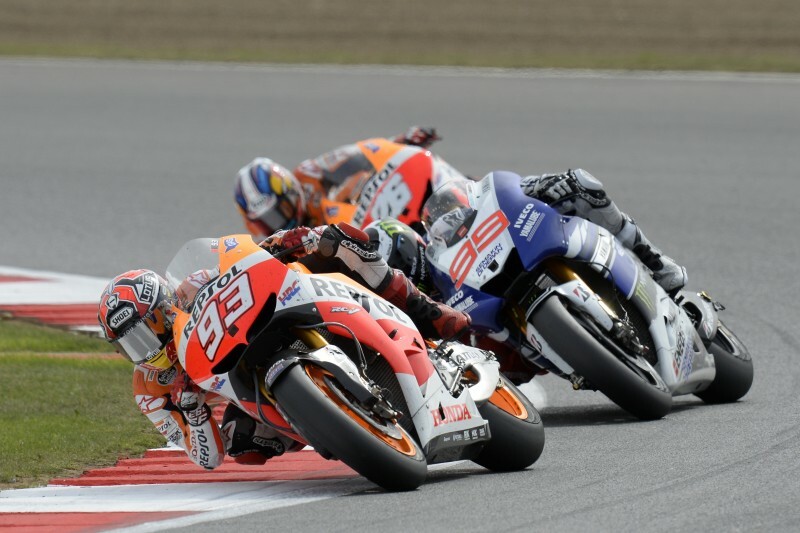 To add insult to injury, during the incident, Marc did not see the yellow caution flags being displayed and as a result Race Direction imposed two “penalty points” on Marc’s record – which does not affect his Championship points. Starting from 1st and 5th respectively, Marc and Dani both dropped a position by the first corner with Lorenzo taking the lead. 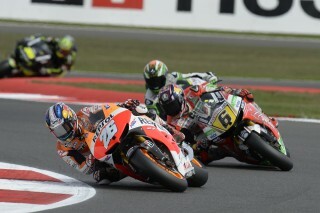 Dani then began to make up ground first passing Bautista and then Rossi on lap two, and Bradl on lap three. 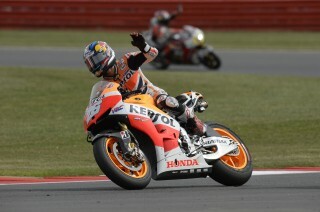 He chased down the leaders Lorenzo and Marc and set a new fastest race lap on lap six with 2’01.941. The three title contenders then rode in perfect formation with nothing separating them. On lap thirteen, Marc attempted a pass on Lorenzo which he was unable to complete, then on lap eighteen he passed Lorenzo again and briefly led the race before being re-passed on lap nineteen with just one lap remaining. Marc fought to the end but was unable to attempt another pass and settled for 2nd, just 0.081s behind Lorenzo with Dani completing the podium lineup. With his second place finish in Silverstone Marc has set a new record of the most podium finishes by a rookie in the premier-class (Valentino Rossi scored ten in 2000). 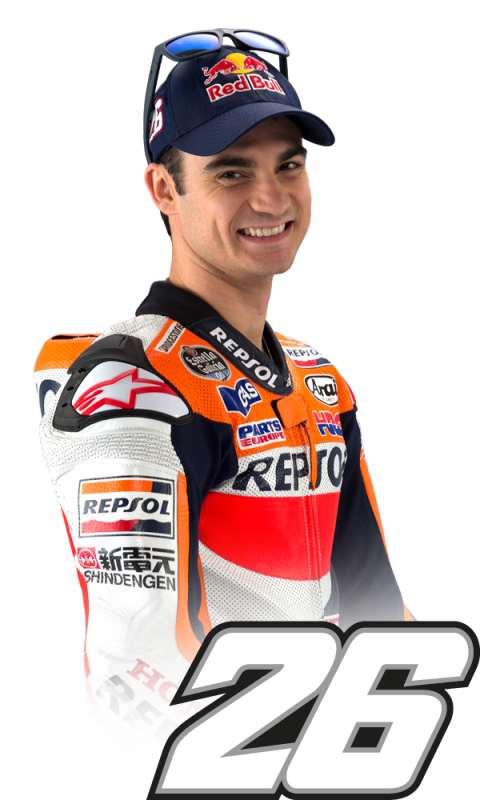 He maintains his lead in the Championship with 233 points, and becomes the rider with the most points scored in his rookie season (Dani Pedrosa scored 215 points in 2006), with six races still remaining. 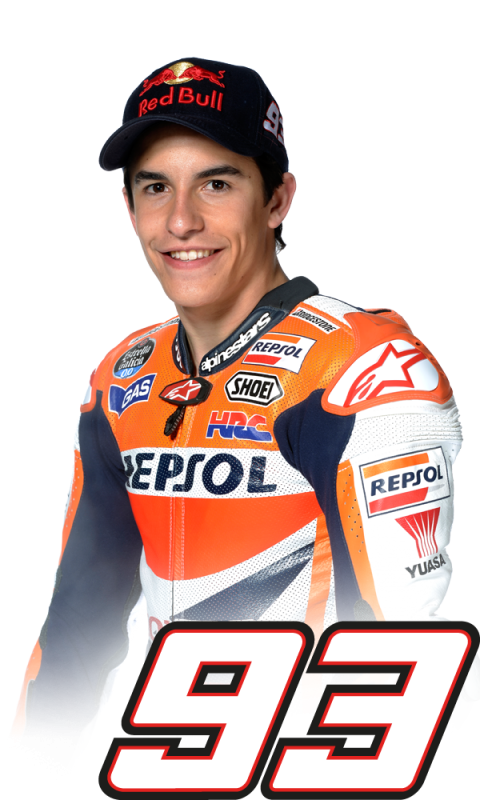 It also marks his 50th podium finish which at the age of 20 years 196 days makes him the youngest rider to reach a half century of grand prix podium finishes, taking the record from Dani Pedrosa who was 21 years 162 days old when he stood on a GP podium for the 50th time. 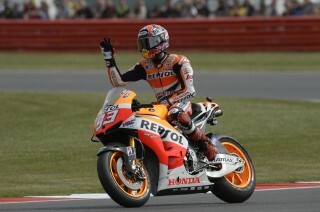 Dani remains second in the Championship with 203 points, 9 points ahead of Lorenzo.